The Initiative for Global Development (IGD) is a Washington, DC-based nonprofit organization that engages and harnesses the power of the private sector in order to create sustainable growth and alleviate poverty in Africa. This year’s IGD Frontier 100 Forum was held in Nairobi, Kenya, and the main topic of discussion was how African companies can create employment and accelerate development on the continent. Key stakeholders form the public and private sector were in attendance, such as Phyllis Wakiaga, CEO of the Kenya Association of Manufacturers, Dr. Hippolyte Fofack, Director of Research and Knowledge Management of the African Export-Import Bank, and Andrew Alli, President and CEO of the Africa Finance Corporation. While the Africa rising mantra has come under criticism because of perceived inequalities in the continent's economic growth that continue to leave millions on the continent in poverty, most of the discussions at the forum were in agreement that the African narrative is changing for the better, and this is mainly driven by the private sector. The private sector accounts for more than 80% of job creation in Africa at the moment. Entrepreneurship also holds the promise of job creation, though actual figures on how well this is doing vary. African entrepreneurs are identifying gaps in the market and are coming in to meet demand, particularly in the business-to-business (B2B) scene. This was evident from the presentations of the entrepreneurs present at the forum. One major unaddressed challenge is the decline of domestic industries in many African countries resulting from stiff competition from cheaper import alternatives. While entrepreneurs and small scale manufacturers are on the rise, these increases have been cancelled out by decline in major industries such as vehicle assembly and textiles. There are some players, such as Nigeria's Aliko Dangote, who are bucking the trend and making a mark in the international market by growing their presence in extractive and manufacturing industries, which has gone some way to improve their countries' global competitiveness and increasing their country’s net exports. The potential for industry in Africa is not only in making a profit, but also in creating employment opportunities. An interesting fact to note is that in Kenya, the handicrafts industry is the second largest employer after agriculture. However, despite its contribution to the economy, the private sector is faced with challenges that limit its growth, such as access to finance and skilled labour. Microfinance innovations have come in handy for the small scale business owners, but that is not enough for the large scale businesses with potential to earn million dollar profits. They require much more debt capital input. High interest rates, pronged due diligence among others have made it extremely challenging for some private sector companies in Africa to turn to debt financing for their ventures. Other challenges and key issues discussed at the forum include political instability, unclear strategies for regional integration, heavy dependence on agriculture and shortfalls in infrastructure development. Despite these challenges, innovation has grown tremendously in Africa over the past decade, especially in the tech industry. Africa is gaining traction on the global scene thanks to its growing number of tech hubs, big investments and fresh ideas. Tech startups in Africa often start with a handicap that isn't present in other regions, such as a lack of access to formal banking and limited fixed telephone lines that have driven mobile-first solutions such as M-Pesa. Africa has indeed come a long way, but a lot more needs to be done in terms of driving innovation. 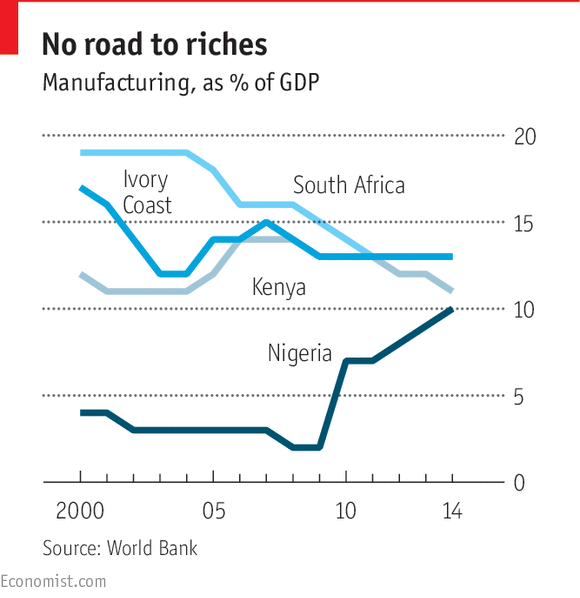 On the whole, Africa's growth has been steady but markedly uneven. The continent still has a long way to go in terms of inclusive growth, with many Africans in the grassroots uninvolved in the supply chain, leaving them unemployed and poor while their countries continue to prosper without them. Measures by both the government and the private sector should be taken to penetrate these areas and change the current situation. Second, diversification of jobs would also come in handy to create more job opportunities. The main take away from the forum was that Africa is indeed a land of opportunity but key challenges that could derail the process need to be tackled first. The discussions encouraged the attendees to continue to be bold and innovative, and to explore the infinite avenues towards changing the African narrative. Cover Image: 'Achieving Inclusive Growth Through Greater Trade Opportunities' discussion panel at IGD Frontier 100, with moderator Phyllis Wakiaga, Kenya Association of Manufacturers CEO, third from left | Via IGD. Won the World Bank’s 2016 #Blog4Dev contest. Financial Economics student at Strathmore University. Passionate about Youth Empowerment and Entrepreneurship.